OpenLearning has a range of features for creating and issuing badges to students. 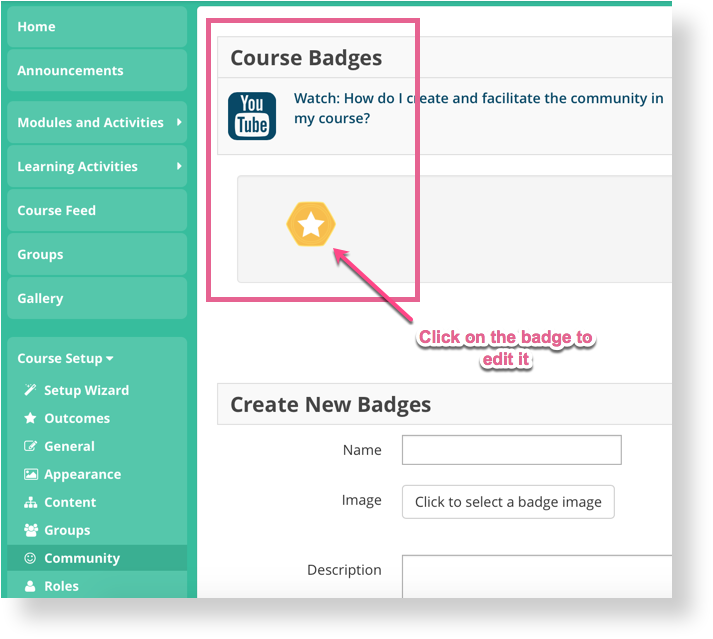 Badges can be created by a course administrator and then issued automatically or manually by a teacher. The badges on OpenLearning are compatible with Mozilla OpenBadges and students are able to synchronize the badges they have received on OpenLearning with their Mozilla OpenBadges Backpack. 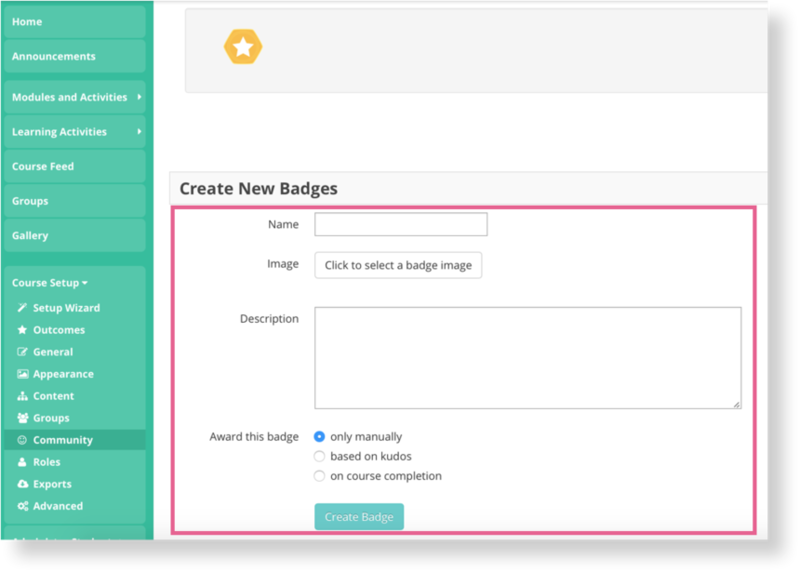 In the section 'Create New Badges' you can give any name you want to a new badge and select either from a library of badge images provided or add your own. Make sure to add a description for a new badge! a. manually: A teacher in the course will be able to select the students who should receive the badge. b. based on kudos: You can enter a minimum kudos that a student must earn before receiving the badge. The badge will be issued automatically once the student achieves the specified number of kudos. c. upon course completion: When a student completes the course they will automatically receive the badge. A course is considered completed when all of the activities have been released and the student has completed all of them (i.e., their progress is 100% after all activities have been marked completed). 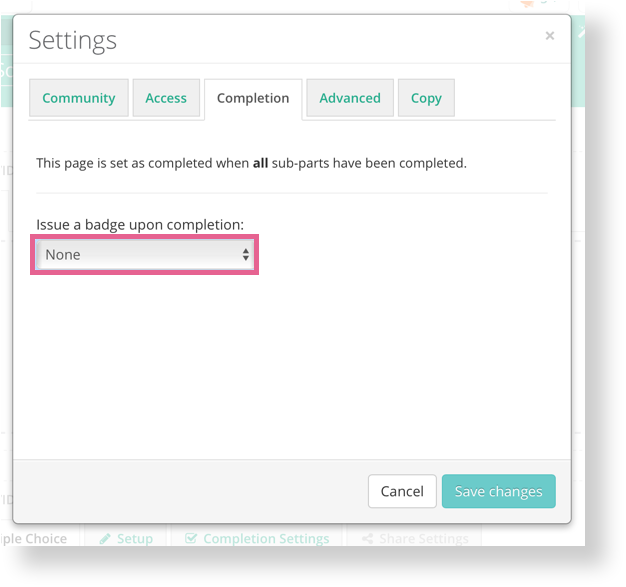 d. automatically based on page completion: Once you've created the required Badge in the Badge library, go to the page for which you want award the students the completion badge. Click on page Settings on top right. Under 'Completion', select the name of the badge from the drop-down list. 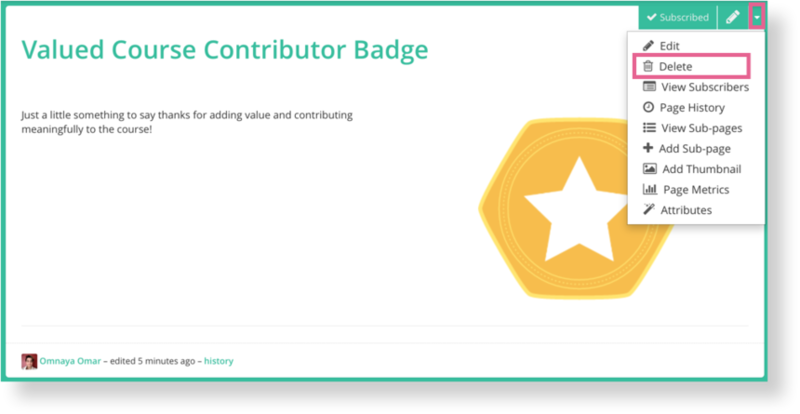 Pro tip: If a course creator needs a badge to be awarded at any other level, i.e., module or course, add a badge to the last page in the module or course. Is it possible to allow access to pages according to badges? Misha Zujev Hi there! Unfortunately, we don't have any feature like that. However, you can set the course to only allow access to the next module when 100% of the previous module is completed. Change the course from "Open Mooc" to "Self Paced"